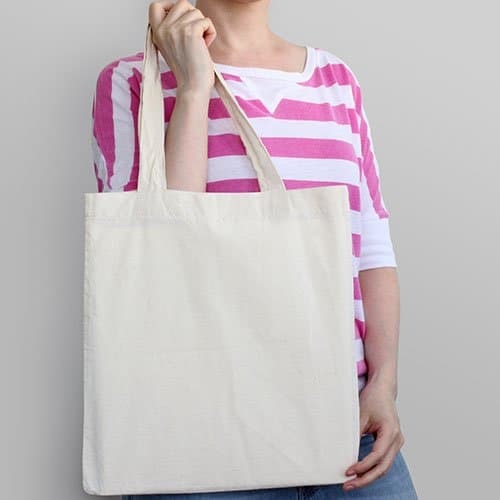 Tote bag is a large bag that made of cloth with two parallel handles at the sides of its pouch, made to “tote” (carry) things. 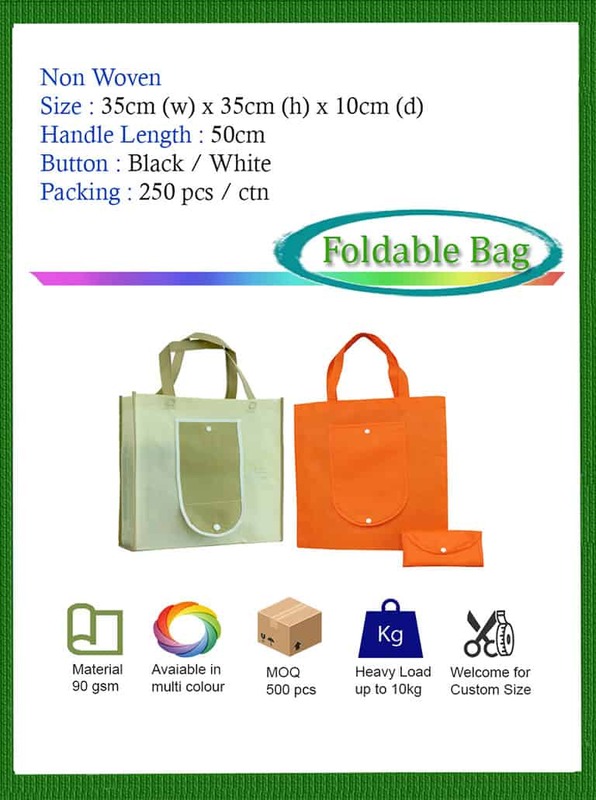 Originally, the difference between handbag and tote bag is greatly different due to the sizes. 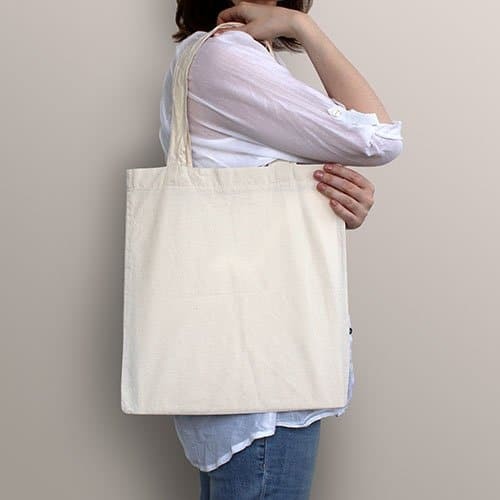 However, nowadays women do have handbags that are the size of tote bags (it makes little difference of both terms). 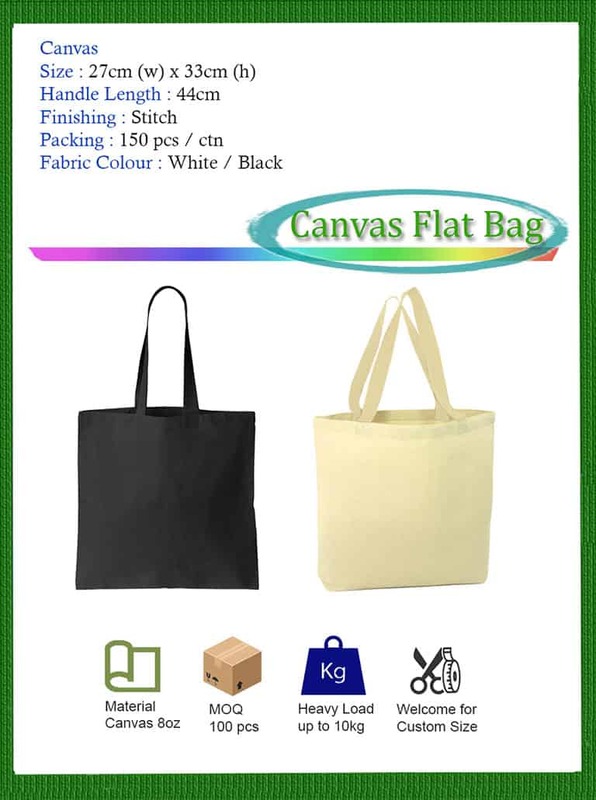 Tote bag is available in different materials such as non woven, canvas, nylon and etc. 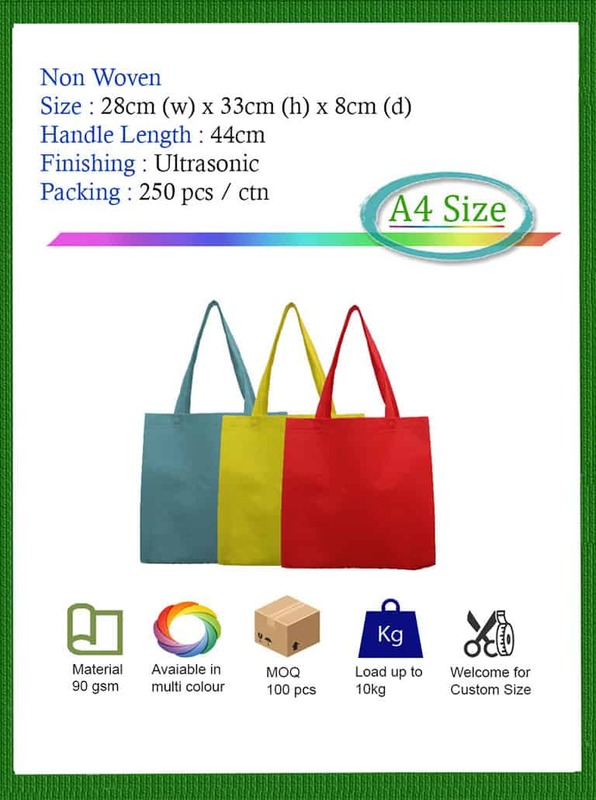 In JT Supply Marketing, non woven tote bags are the bestseller products, due to its eco-friendly, durable yet affordable features. 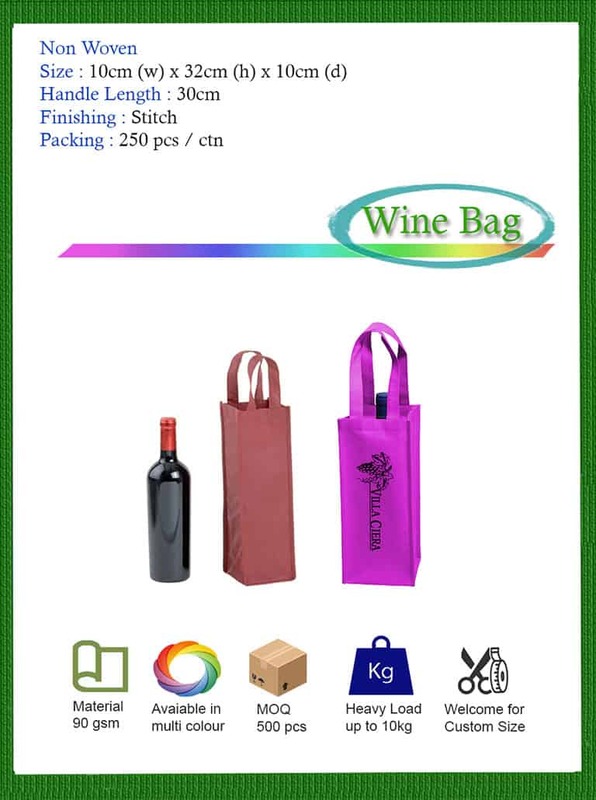 You can print company logo at tote bag, 1 color or more colors. 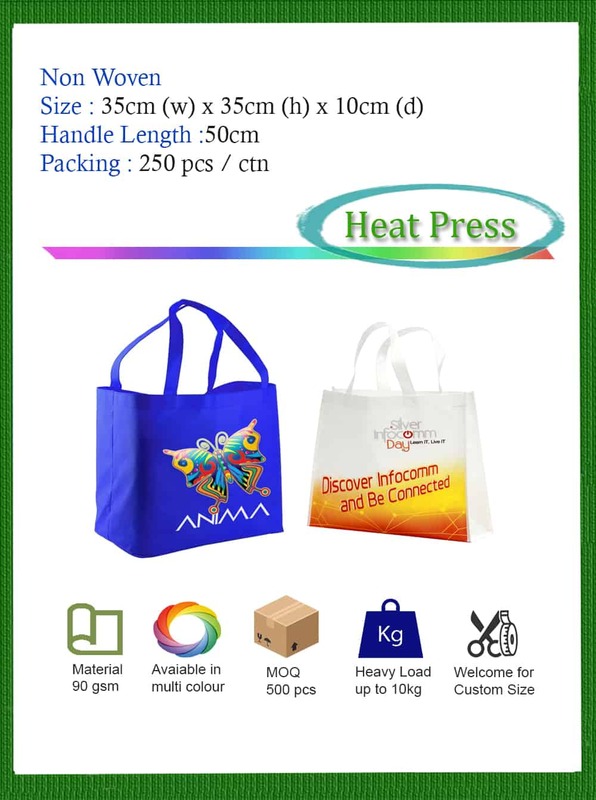 Wide range of tote bag printing and finishing are available with JT Supply Marketing. Besides, we offer the best price in KL Selangor! 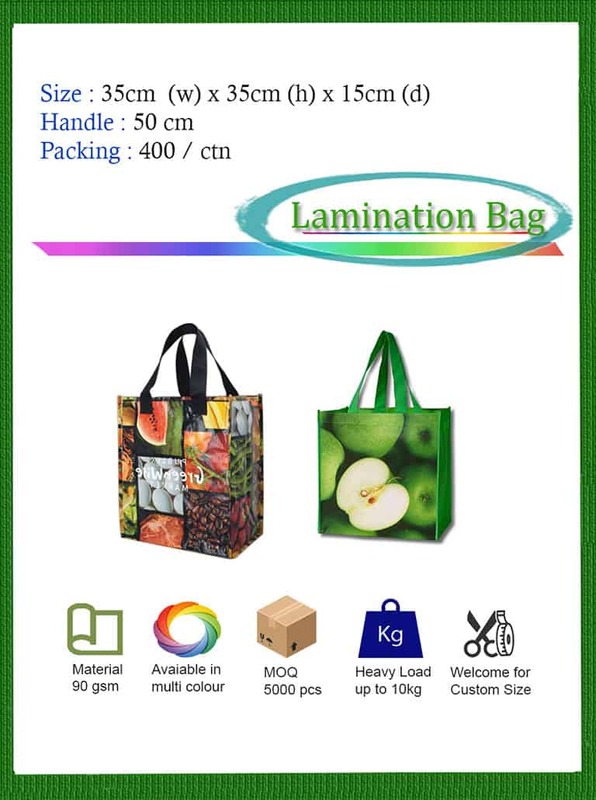 Looking for custom tote bag printing? We’ve you covered! Send us an email with your required specifications (colors, sizes, finishing, materials, and quantity), we will quote you shortly. Contact us.